Although most of the Briggs book focuses on aspects of digital journalism that display its strengths versus print, this chapter acknowledges something both good and bad for aspiring journalists: while print was at one time the only real legitimate news source, there are countless news sites online and it’s much harder to compete for an audience than print in its heyday. Tracking your site content as well as page views and reader response. Briggs suggests setting benchmarks based on these figures. Write effective headlines and stories for the Internet audience. That goes just as much for robots as well as regular readers. Distribute and advertise via social media. Above all–good writing still prevails. Quality, relevant, in-depth content will not only attract the bots, but will capture new audiences as well. [M]any journalists (maybe most journalists) preferred news as a lecture. Only begrudgingly have they come around to the idea that a future in journalism means managing online communities and participating in various social networks. It’s a pretty damning accusation but one that I’m unfortunately all too familiar with. When I first took a journalism class in high school, the teacher seemed downright ignorant of the shifting landscape–every single lesson was based on writing for newspapers. That was a mere six years ago, and admittedly things have changed rapidly since then but that resistance to change pretty much goes against everything journalism is about. Once again, social networks are an effective way to complete all of these elements. In my summary of the fifth Briggs chapter, I mentioned how my friend Brian Chan did live blogs of sporting events at UNC Charlotte (he also did them in the past for Mason). Alas, via the trackback he saw my comment about his lame jokes and got ticked off. There is a downside to linking to everything I suppose. But I’ll take the risk and share this article about live blogging by Kevin Charman-Anderson. He says that live blogging is not just a collection of facts presented in real-time as they occur, but it allows news sites to compete with the immediacy of broadcast. I really do worry that some of the aggregation that we’re doing is really difficult to navigate unless you’re a news junkie. We have to make sure that a stream of news aggregation doesn’t feel like a maddening stream of consciousness. That almost raises the question of whether news sites should even want to compete with broadcast–it’s a matter of breaking the story versus passing on the necessities. 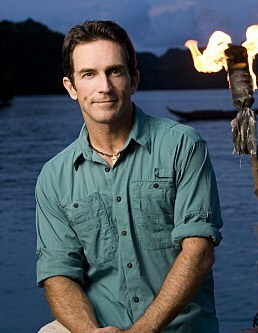 Last night, “Survivor” host Jeff Probst tweeted a live commentary on the show as it aired on the west coast. As a fan of the show (albeit one who had to wait two hours after I finished watching the episode to follow Probst’s commentary), I loved the idea. But the execution left a lot to be desired, and hopefully if Probst repeats the experiment (he’s looking into watching with east coast viewers next week) it is handled differently. What Probst dubbed “the gobal [sic] conversation about ‘Survivor’” played out as a haphazard and not very informative review of what was on screen. An episode of “Survivor” is not a news story that needs to be catalogued in this way. The moral of the story? Use live blogging wisely. Know your audience and cater to what they want and need to know. Whether that’s minute-by-minute updates on a breaking news story or maybe some interaction with fans about a TV show, it’s the key to making the most of a live blog. The adage that a picture’s worth a thousand words has, alas, proven untrue whenever I try to submit a 1250-word paper to a professor with just a photograph and three paragraphs. But when it comes to online writing, not including pictures is a capital offense (and I’ll plead guilty to occasionally committing the crime). A picture may not be literally worth a thousand words, but the difference between showing and telling is staggering. In print, perhaps a publisher might want to avoid the hefty amount of ink necessary to include a picture. That excuse doesn’t cut it online. Digital photography imposes little expense beyond the camera itself (which admittedly can be costly). However, that’s assuming you’re talking about photographs you’ve taken. Just like in print, any credible online publication will get permission from and credit any sources for its images. This is not a digital camera. But it's under Creative Commons so there you go. All that said, digital photography is simply a progression of a technology that already existed. You use the pictures in the same way one would utilize conventional photographs. While looking for an interesting tech blog item this week, I wanted to find something related to the latest chapter in the Briggs text. I thought something on mobile journalism would be appropriate and so I eventually came across a quirky Techcrunch.com article, “I Will Check My Phone at Dinner and You Will Deal with It.” This piece by MG Siegler doesn’t directly deal with journalism, but it does provide evidence of the importance of mobile journalism. Siegler opines that checking one’s cell phone at a restaurant has not only become the norm, but it may actually be more awkward for younger generations to not engage in the practice. If people are even interrupting meals to check their phones, clearly mobile journalism is of interest to people. Personally, I really hate phones. They’re my least favorite method of communication. I have a cell phone of course, but more out of necessity than an actual desire to text and be reached at any given point. It goes to show how technology is no longer an option these days (though I’m serious, there are times when the only thing keeping me from running over my cell phone is that I don’t want to damage my tires). And of course, now it’s becoming socially acceptable to tweet the restaurant you’re at. However, a Zagat survey says that cell phones at the dinner table leave a bad taste in the mouths of most Americans, though some even upload pictures of their meals to Facebook. There’s always an upside–namely, mobile food critics can post instant food and service reviews. Bon appetit! It may be getting repetitive at this point to say once again how crucial it is to implement technology into modern journalism, but it remains the vital takeaway point of the Briggs text. One aspect of this is mobile journalism. If cell phones allow people to receive calls and access their email anywhere at any time, why shouldn’t they also provide the news people want and need to know about? It can also help journalists find and cover breaking stories in ways that were impossible before. Mobile journalism is not a replacement for print or online journalism. It is a supplement designed to get a reader’s attention and drive them to the more in-depth story. Mobile journalism does not require the most advanced equipment. Use whatever you’re comfortable with, and whatever you need to get the story. Mobile journalism can allow instant and interactive stories to be disseminated. My friend Brian Chan, former sports editor for Broadside, often does live blogs for games at his current school, UNC Charlotte. Basically, he watches the games and uses a laptop to provide constant updates as it’s happening. Since sports are a constant, shifting series of events, this is a great way for fans who can’t make the games to get a play-by-play of what goes down. Of course, in the case of Chan, you also have to sit through some occasional bad jokes, but having known him since sixth grade, I’m used to them by now. In this Briggs chapter about microblogging, the first site that came to mind was Discographies, a clever Twitter feed that reviews a musician’s body of work in 140 characters. It’s a concept so simple, so appealing and frankly, so maddening that years of hard work and transformation can be boiled down to a few sentences. But that’s what journalism has to be these days. It’s fair to say that our collective attention spans have reduced over time. It’s not our fault; it’s technology–there’s too much of it for us to focus on one thing anymore, unless it’s really captivating–or more importantly, really short. But here’s where it all comes together. Remember that talk about open-sourced reporting in chapter 3? Your readers are not going to be giving you manifestos (and if they are, you probably should be forwarding their comments to the FBI). Their content will be brief because that’s what they are looking for. Take a look at this story from EW.com. It reports that Aaron Sorkin will appear on the NBC hit “30 Rock” later this season. The story is pretty short, especially given the background information that makes this an especially intriguing event. Indeed, one has to venture to the comments section to be reminded of Sorkin’s “Studio 60 on the Sunset Strip,” his dramatic venture that premiered the same year as “30 Rock” with essentially the same concept that initially triumphed over the creatively unstable Tina Fey show, then bombed as Fey’s picked up steam. Without comments, the main draw of this story goes to waste. It’s a slight on EW’s part, but a credit to collaborative journalism. In class last week, I had the (mis)fortune of having to display my blog to my fellow students. On the bright side, it was a bigger audience than I’ll probably have the rest of the semester, but I was forced to confront the fact that, as much as I like to think I’ve progressed as a writer and journalist over the past few years, I don’t know the first thing about writing for the Web. As anyone can have their own blog, it’s only fitting that news itself has become a much more collaborative process given all the new technology that bridges the gap between citizens and the media elite. Even sites as prominent as CNN now rely heavily on readers submitting news stories and videos. This global sharing process, dubbed “crowdsourcing,” creates a more transparent news environment, so the cream rises to the top. Zzzzzzzzzz. No links. No pizazz. Just a dull block of text. (I hope the revised version is a little better.) But I’m not alone, as Steve Yelvington laments on his blog. Despite the abundance of new technology, journalism hasn’t shown much progress in the past 50 years. Well, I’m making the call to journalists everywhere: let’s get our acts together. Spice things up! I’m just as guilty as anyone else when it comes to the boring and bland blog that will languish as another unloved Internet entity in perpetuity. But I’m going to change that. That’s the first step, right? Making a bold pronouncement so that I’ll have no choice but to follow through or otherwise risk the wrath of my readers and/or professor? Let’s get some pictures in here! That’s Zooey Deschanel to the right. Perhaps I’ll aim for some more relevant pictures in the future, but for right now I defy anyone to click away from a page with a Zooey Deschanel pic (unless you’re heading to do a Google image search). The bottom line is that the field is evolving, nearly on a daily basis at this point, and we need to make our mark. There are far too many competing platforms for journalism of all sorts to lose the audience’s attention to, so before they turn to that “(500) Days of Summer” DVD or listen to a She & Him song, let’s not return journalism to its former glory–let’s build a new glory.